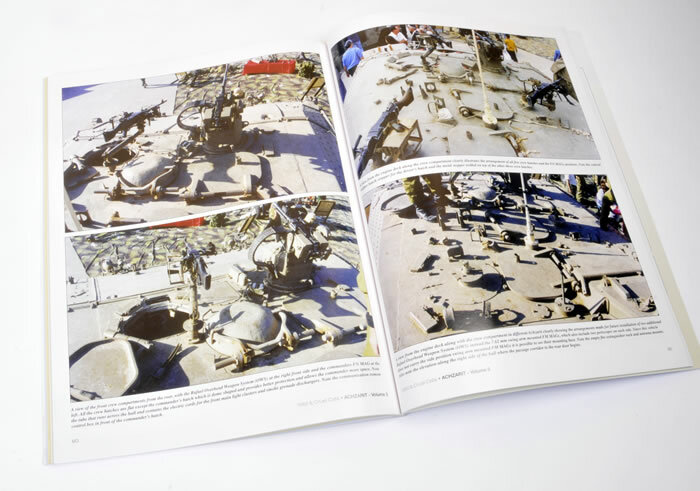 Media and Contents: 80 pages in soft cover 8.5” x 11” format. 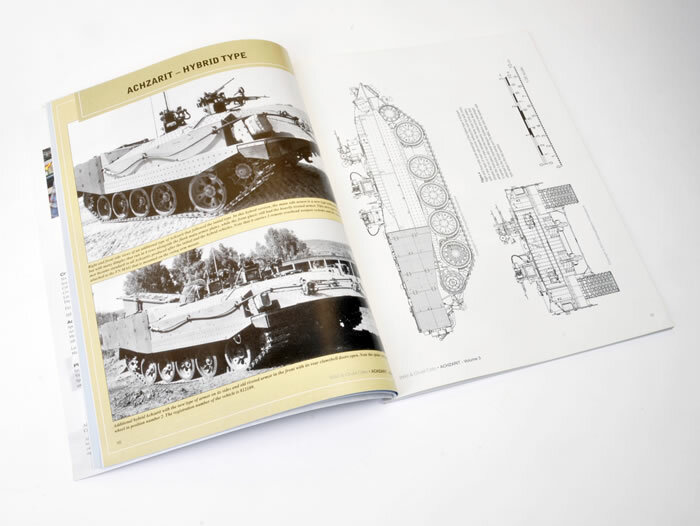 Advantages: Excellent photo coverage of early Achzarit variants; includes line draeings and colour profiles; excellent format for modellers. Murphy’s Law seems particularly active in our hobby. No sooner had I finished my 1:35 scale Meng Achzarit earlier this year than I heard about this new book in The Israeli Way series. “Israeli Wild and Cruel Cats Vol. 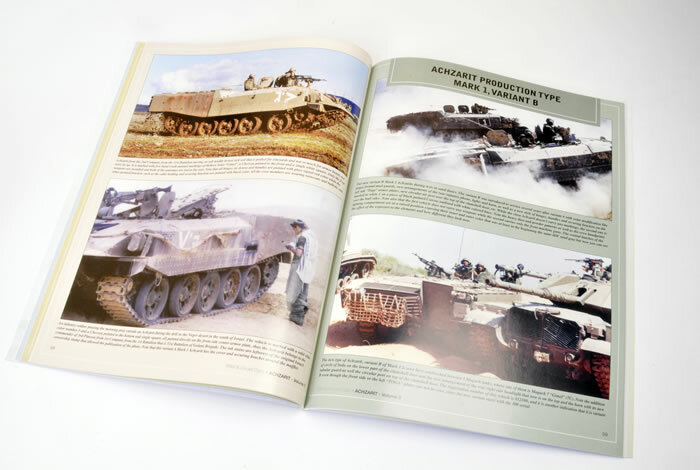 3, Achazrit Heavy APC Part 1” by Dr Robert Manasherob is presented over 80 pages in soft cover 8.5” x 11” format. This volume covers the early Achzarits as offered in Meng’s 1:35 scale kit, so it is a perfect one-stop reference. 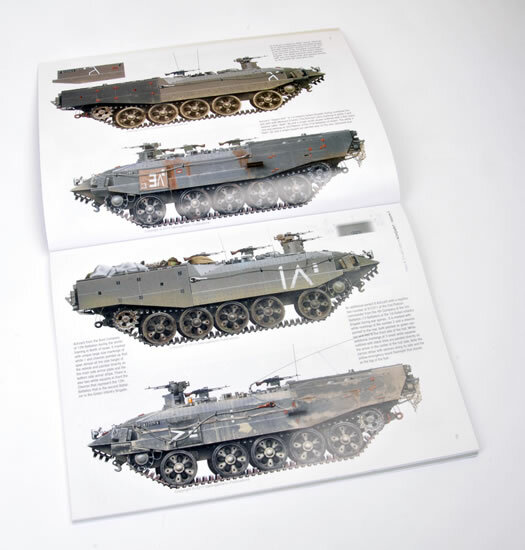 The book kicks off with a brief description of the vehicle’s origins, followed by a section on the initial and hybrid types, then the early production variants. These Chapters all include plenty of large colour and black and white photos, mainly two to a page, with useful captions and supplemented by 1:35 scale line drawings of each type. The detail in the photos will be fantastically useful to modellers, especially those wishing to customise their Achzarits with nets or stowage or covers or crew. Exterior walk around photos are also offered, including all those hard to get at areas such as the roof and the weapons station. The book is wrapped up with a section describing camouflage and markings, plus twelve inspiring side profiles of a range of early Achzarit variants. I wish that I had this book when I was working on my Meng Achzarit. 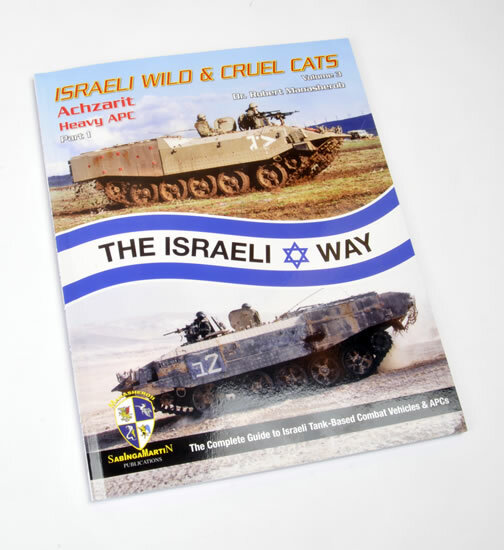 If you have one of these kits unbuilt in your collection, make sure you grab Israeli Wild and Cruel Cats Vol. 3, Achzarit Heavy APC Part 1 before you start snipping parts from the sprues!